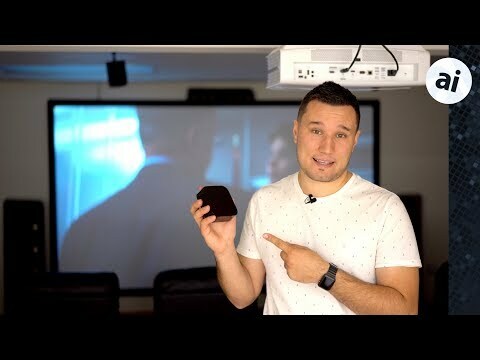 The final arrival of Dolby Atmos support on the Apple TV and Apple TV 4K after a long delay may have been welcomed by AV enthusiasts, but there are a small number of complaints from users who are experiencing audio problems when using Apple's set-top box with their Pioneer equipment. Posts on the Apple support forum as well as the AVS Forum claim the Pioneer Elite VSXLX503/US receiver is having issues playing movies from the Apple TV that use Dolby Atmos. While this specific receiver is capable of processing Dolby Atmos audio from other sources, it seems to be having issues dealing with sound using the same format stemming from the Apple TV. The reader and forum posters do note that there is a temporary workaround for the problem, in that Atmos has to be turned off on the Apple TV, forcing it to use a different format. Multiple users have made contact with Pioneer over the matter, with the AV equipment producer said to be working on a solution to the problem. Apple's support page for Apple TV Dolby Atmos warns "some third-party AV receivers and sound bars might require a firmware update to support Dolby Atmos," advising users to visit their equipment manufacturer's website to check for new software. Dolby Atmos is an alternative form of surround sound format that simulates sounds in 3D space instead of merely pushing them to different channels. Initially confirmed as being added to the Apple TV in September 2017, Apple revealed in WWDC 2018 it would arrive as part of tvOS 12, which shipped in September. It should be noted that the method Apple is using for doing Dolby Atmos via streaming services like iTunes, Netflix and Vudu is not quite the same as playing Atmos off a Blu-Ray disc. Apple TV doesn't support that method yet at all from any source. I'm confused, the article says it's here but a few devices don't support it and the video seems to be old and talking about it coming ... which is it? The video is just related content. Atmos is here. There are a few Pioneer receivers that expect the bitstream to come from a BluRay, like Sevenfeet said, and it isn't getting that. Mike is there any potential for paired HomePods to 'fake' some of the ceiling sounds utilizing beamforming to determine where they are and direct upper channel sounds that way? In theory, given the hardware in the HomePod, but the software doesn't seem to support that as of yet. It's not possible in my opinion. The problem with the HomePod is the only thing pointing up is the woofer. A woofer isn't going to bounce sound off ceilings well. The HomePod would really need to have some of the tweeters facing up but all 7 are pointing out to the side. Yamaha RX-A2040 is also not able to play Apples "specific Dolby Atmos". I'm having exactly the same problem with my Yamaha rx-a2040. All my settings are correct and i'm running the latest firmware on my 2040 and tvOS 12. But I get no sound when watching an Atmos movie in iTunes or Netflix. I'm counting on Yamaha to issue a firmware update, to solve this problem.